Your children will love them and they won’t even realize what they are eating! 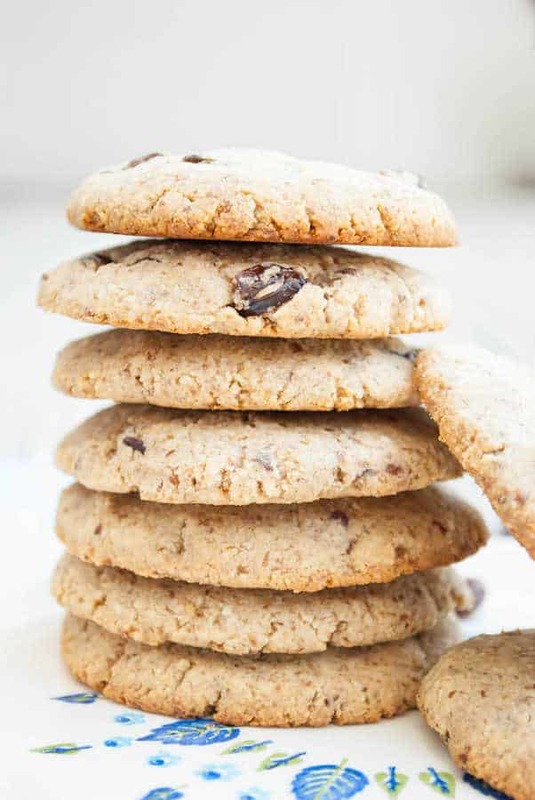 They are great to make in a large quantity, then you can save them for later for snack time or school/work lunches. 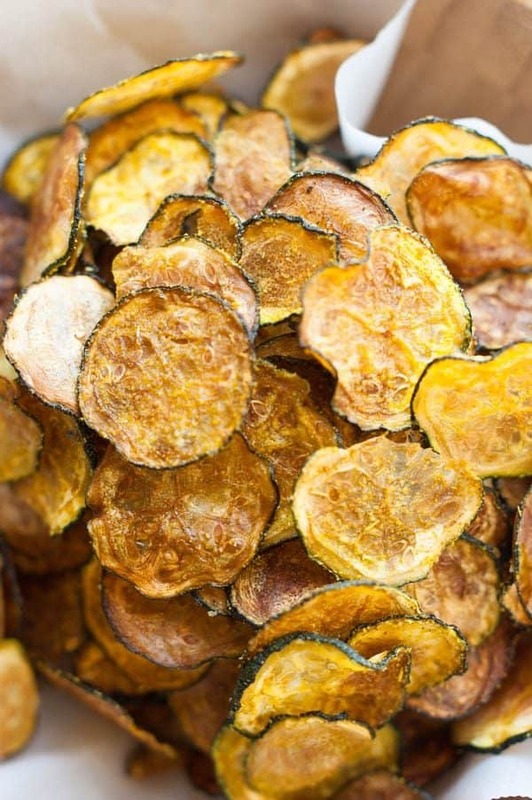 This curried baked Paleo zucchini chips recipe is full of flavor and zest. For a stronger curry flavor, another ¼ t. of curry powder could be added to the seasoning mix, if preferred. Baking the zucchini chips on lightly oiled parchment paper worked a lot better for me than using Silpat mats…they tended to stick to the Silpats for some reason. I often make these when I have more zucchini than I can eat before it goes bad. Then I save them in little baggies for my children’s lunch. It’s a good way to give them their serving of veggies in a non-perishable way. They are basically addicting though, so watch out. Once you start eating them, it’s really hard to stop. Not only do they have crunch and saltiness, but a flavor that tastes better with every bite. Can you make zucchini chips in the microwave? 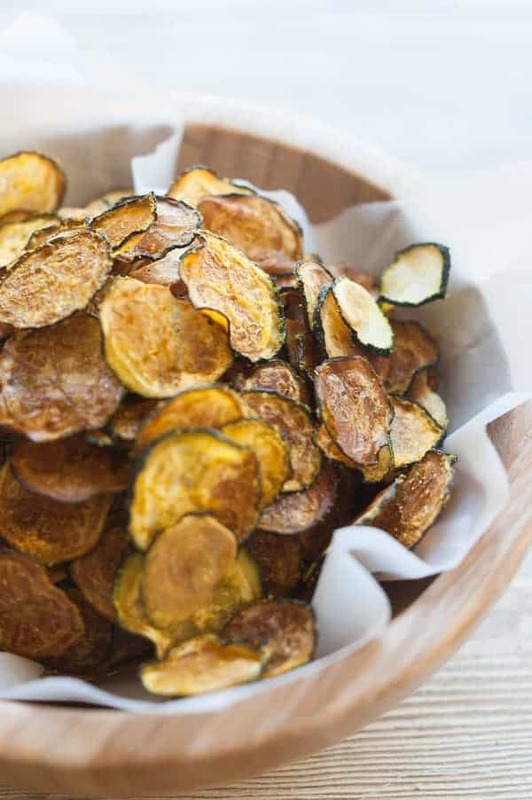 You can but they won’t taste near as good as the roasted zucchini chips in the recipe below. 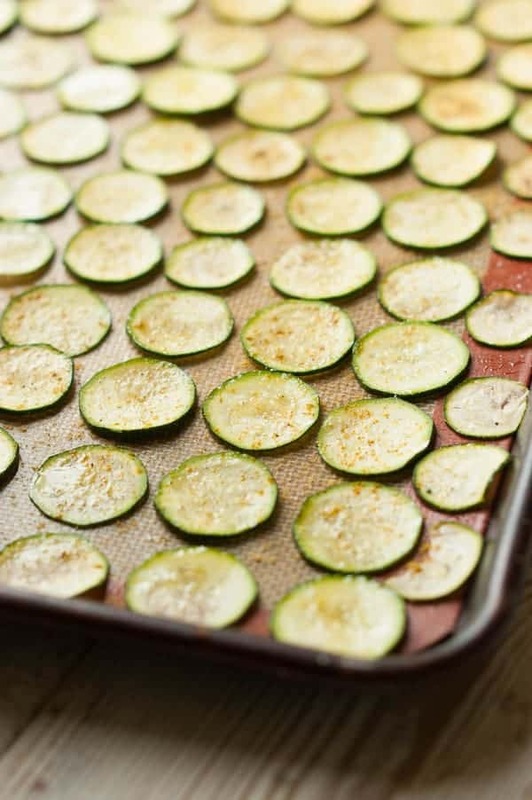 These roasted zucchini chips are much healthier than fried ones since they are baked and not soaked in oil. Not all chips need to be laden with fat. Preheat the oven to 225 degrees. Line 2 baking sheets with 2 sheets of parchment paper or Silpats that have been very lightly brushed with olive oil. I just put them in an airtight container in my pantry. Does the “t” in ingredients stand for teaspoon or tablespoon? The big T’s are for Tablespoons and the small ones for teaspoons. These look and sound great! If curry isn’t a favorite spice. . .is there another you’d reccommend? Great idea! I will do that. 🙂 Thank you! 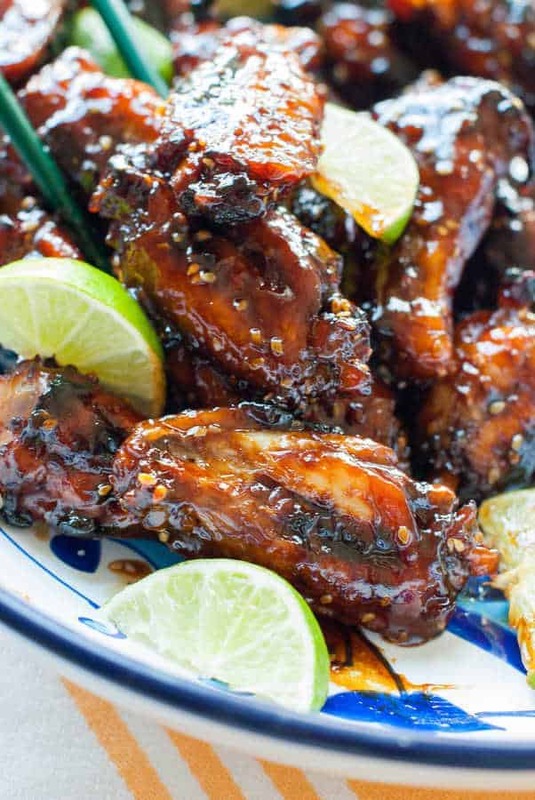 What a deliciously healthy recipe! I love zucchini! I absolutely LOVE zucchini. These sound delicious! OH MY Looks so Yummy!! What a great alternative for regular chips. Love it! These look yummy and would be so much more healthier. I need to try these that way I could have my chips but they would be a healthy alternative. Thanks for sharing! Yummo! Thanks for sharing Rebecca! I can see how the kiddos wouldn’t even notice these aren’t chips! I bet that the curry adds a very tasty flavor! These look yummy. Funny enough i have bought some to make myself some crisps from a recipe on Pinterest. I should try these too. These look wonderful! I think I’ll pin this and try it later! Just wondering if the 225 deg is C or F? I will have to try making this. My husband and I miss eating chips and this is such a great substitute. We love the curry taste, too. I can’t wait to try this recipe. Looks so yummy! I absolutely can’t wait to try these. I love curry and I love chips so I’ll have to make these although I’m at the end of my zucchini in the garden for this year. I would love to know if you tried these and liked them . . .